You need: Swimwear, towel and closed toed shoes that you don’t mind getting wet, lightweight clothes for water taxi rides and walking. 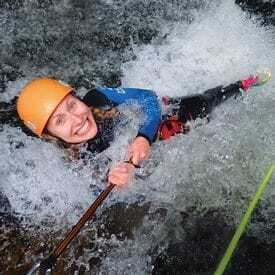 Please note: Canyoning involves walking on slippery and uneven surfaces, submersion in water and exposure to heights. This trip is a full day physical activity.